3B's Toy Hive: Christmas Contest Reminder! 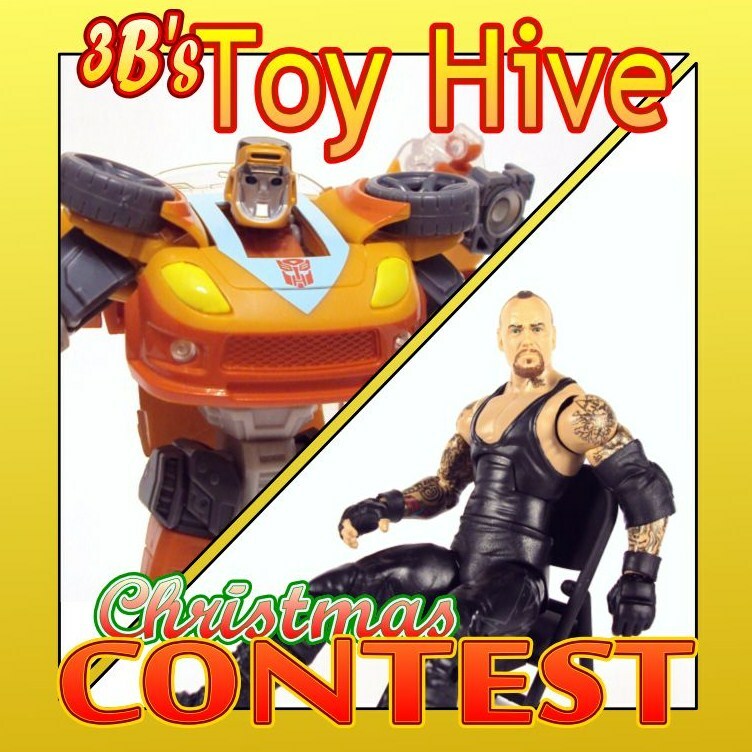 There's just over 48hours left to enter 3B's Toy Hive's 2012 Christmas Contest! If you haven't entered, yet, click here for official rules and to find out how to enter. Remember, I'm giving away a "WrestleMania 28" Undertaker and Transformers Generations Wheelie as the two main prizes! One runner-up will receive a set of Batman Hot Wheels! Don't miss out on this giveaway, enter now! The Honeypot: WWE, the Bat & a WarBot! LoEB: All I want for Christmas is... EVERYTHING! 3B's Toy Hive's Christmas Contest Winners! Sponsor News: Collector DASH Giveaway! The Honeypot: WWE Elite and a BFR! LoEB/ Currently on Display: "Shelf Expression"